We are just 12 days away from the speculated release date of Ajith's Vivegam (August 10th). 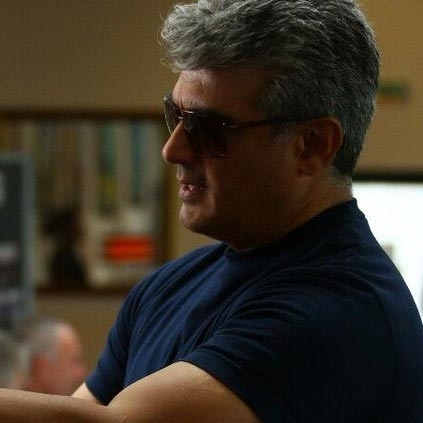 The makers are keenly waiting for the censor process to be done so that they could officially disclose the release date of the film.Having said that, the complete album is yet to release and fans are equally puzzled if they will see a trailer release for Vivegam. It must be noted that Vedalam did not have a trailer. Though the release of Vivegam's trailer is still not known, it is almost confirmed that there is another promotional video coming from the team. Editor Ruben confirmed the same through his Twitter space when a fan asked him the same question, "Working to deliver the best trailer! Very soon bro😊👍🏻". Has The Ajith Starrer Vivegam Been Censored? People looking for online information on Ajith, Anirudh, Kajal Aggarwal, Siva, Vivegam will find this news story useful.